The first anniversary of the launch of Google Inc. coincided with the Google I/O developer event at San Francisco today. As reported on thenextweb.com, Google+ was proud to present some figures that demonstrated the substantial progress it had made over the past year. Google plus have, Over 250 million accounts upgraded or signed up, Over 150 million accounts are active every month, Users spend an average of 12 minutes every day on the service and the Google+ team shipped a new build every day for the whole year, except one Friday in August. In an interview, Vic Gundotra, Senior VP of Social Business, and Bradley Horowitz, VP of Product for Google Apps, shared some thoughts on Google+. Gundotra went to great lengths to explain that Google+ was not comparable to other competing social platforms because, in the overall scheme of Google, all its different products, and particularly YouTube, Gmail and Google+ really constituted a ‘social graph’- one that would create an entire Google experience. So “it’s not Google+, it’s Google.” One can see that the thrust is to create a unifying social strategy that bundles together all Google’s products. The team is focused on building great new innovative features and also providing existing Google products with a ‘social’ sheen. According to Gundotra, this would make Google’s core better. Is enterprise likely to use Google+ for communication and collaboration? 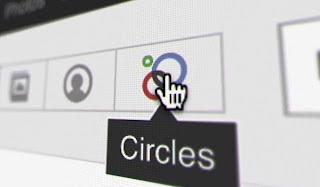 A new Google+ feature has just been announced. Called “Events”, it offers a comprehensive means to plan events. Attractively designed invitations can be integrated with Google calendar, and once an invitation is tagged RSVP, it would be automatically added to the recipient’s calendar! During the event, a Party mode can be activated on guests’ Android devices, with their pictures automatically photo-streamed for the event. What’s more this can be automatically viewed as a slide show in real time during the event. After the event, the pictures can be centrally collected and displayed in chronological order.